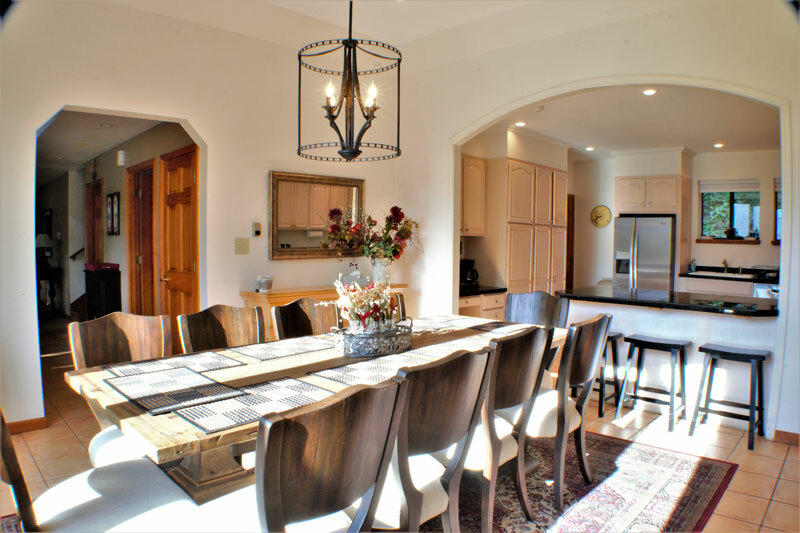 This grand luxury home features many great amenities and is the perfect place for a large gathering in Durango. Conveniently located just 15 minutes north of downtown, and 20 minutes south of the ski resort, your group can enjoy a number of activities with ease. 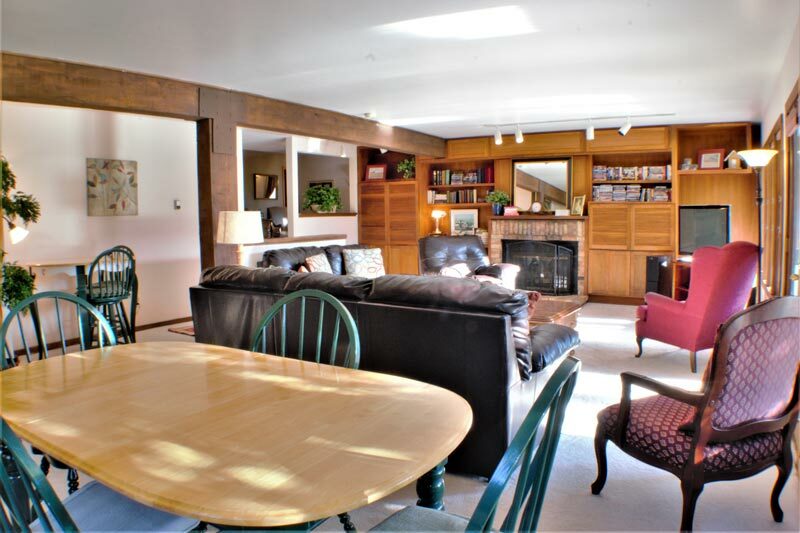 But with all the things to do right at the home, as well as the wonderful mountain views, you may not want to leave! The garage has a ping pong table and lots of outdoor games to play in the spacious front yard such as croquet and badminton. If you are in the mood to relax and unwind you can take a soak in the outdoor hot tub. Inside the home you will find lots to keep you busy like books, movies, and music. There is also a small game table and lots of games. 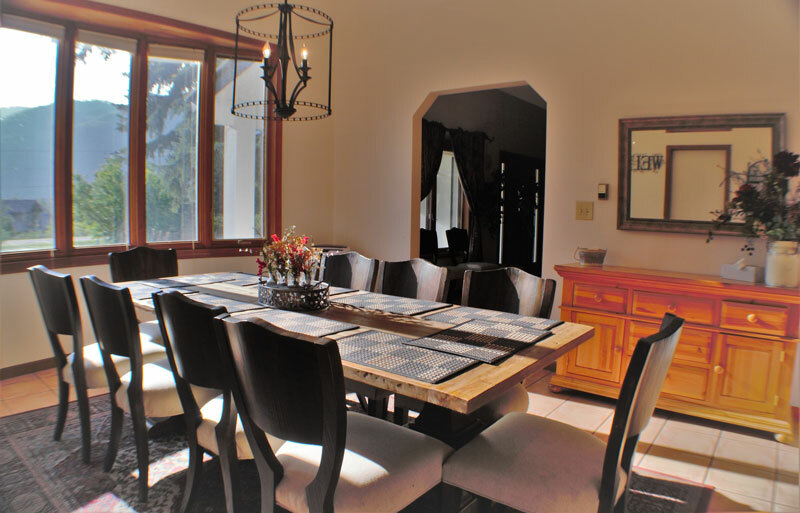 A large, fully stocked kitchen and plantation dining table means everyone can come together when it's time to eat. 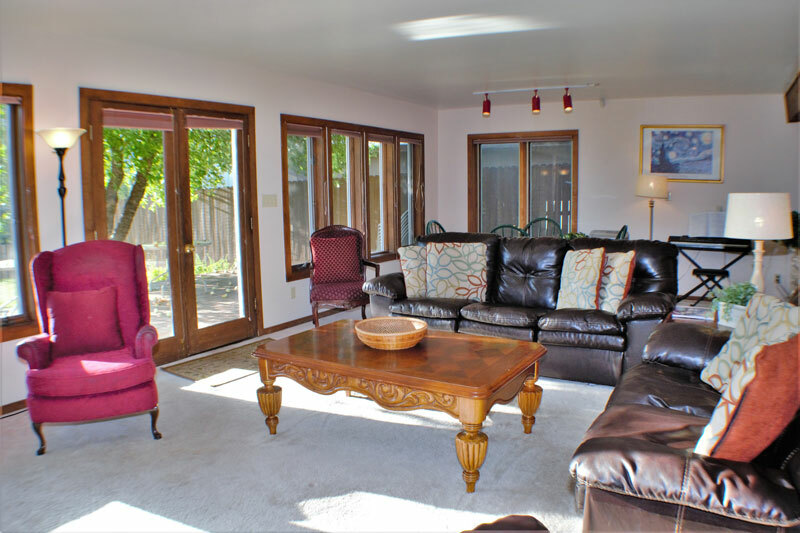 The living room features a gas fireplace great for cooler weather, and also has a queen sofa sleeper for additional sleeping arrangements. 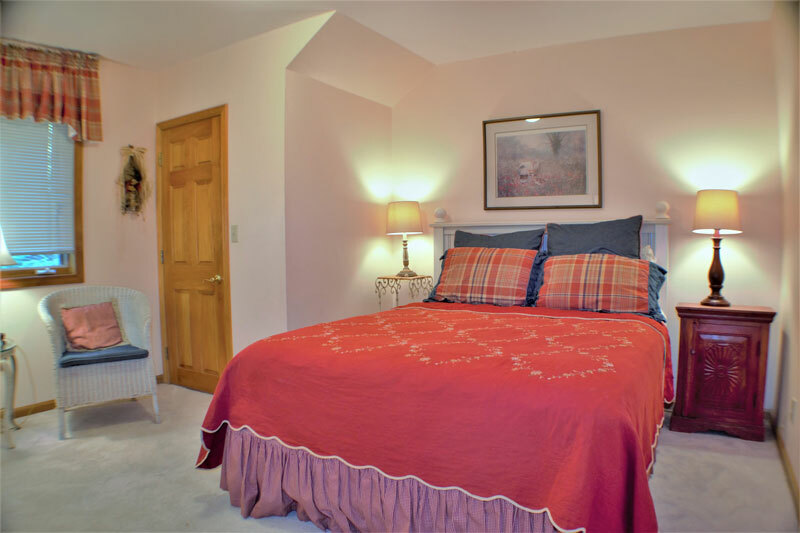 Three of the bedrooms are also found on the main floor. The first two each feature Queen beds and share a Jack and Jill bath with tub/shower and double vanity sink. There is also a Twin rollaway bed in one of the Queen bedrooms if needed. Just off the living room is the futon bedroom with TV. 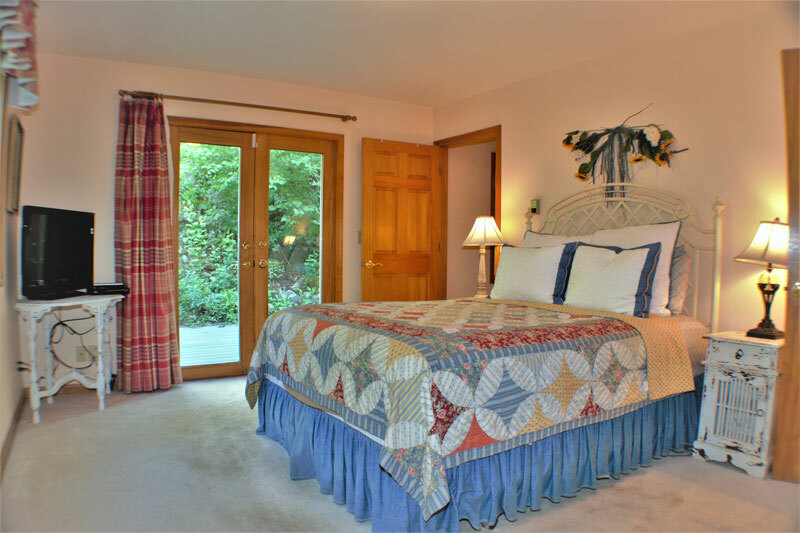 This bedroom has access to the deck with hot tub. 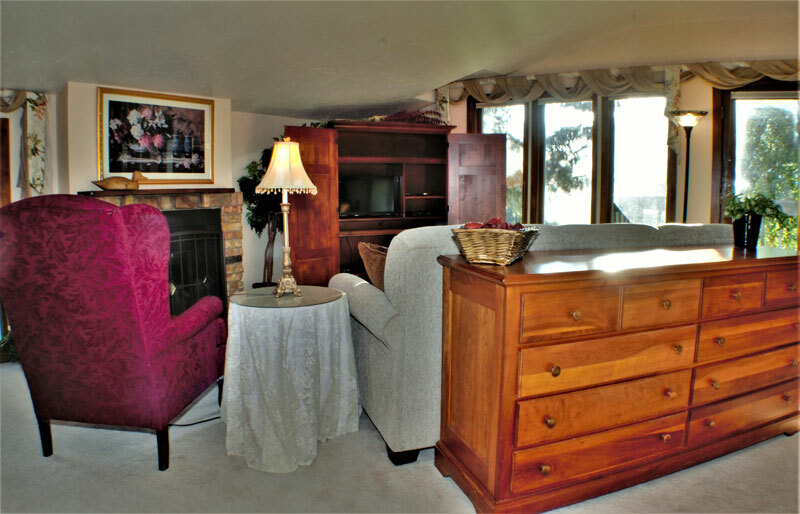 Upstairs on the second floor is where the remaining bedrooms are found, including the two Master Suites. The first Master Suite has a King bed as well as a sofa sleeper, and features amenities like a gas fireplace, in room TV with DVD, walk in closet, and a private balcony overlooking the front yard framed by the famous red cliffs. 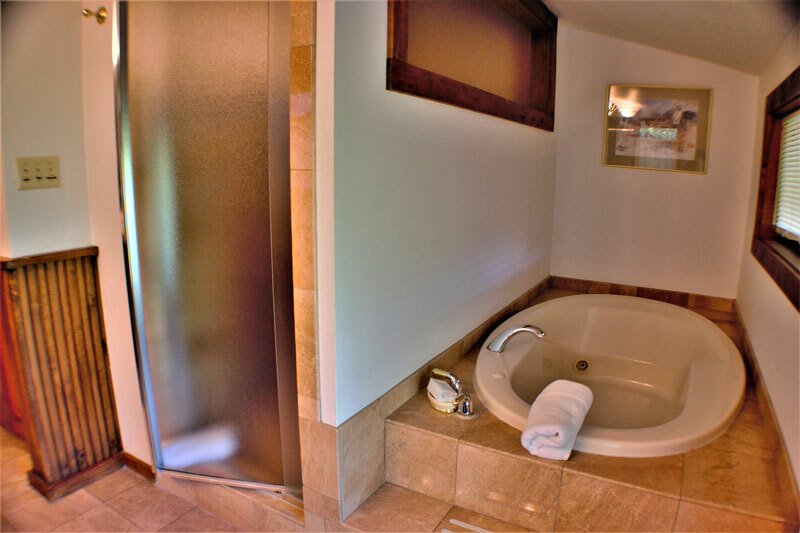 It has its own private bath with double vanity, large jetted tub, and standing shower. An additional Twin rollaway can also be found in this room. The second Master Suite also has a King bed plus a futon, in room TV with DVD, and a private bath with tub/shower. Another bedroom on this floor has two Twin beds which can also be made into a King bed if desired (There is a $35 fee to change the Twins to a King). 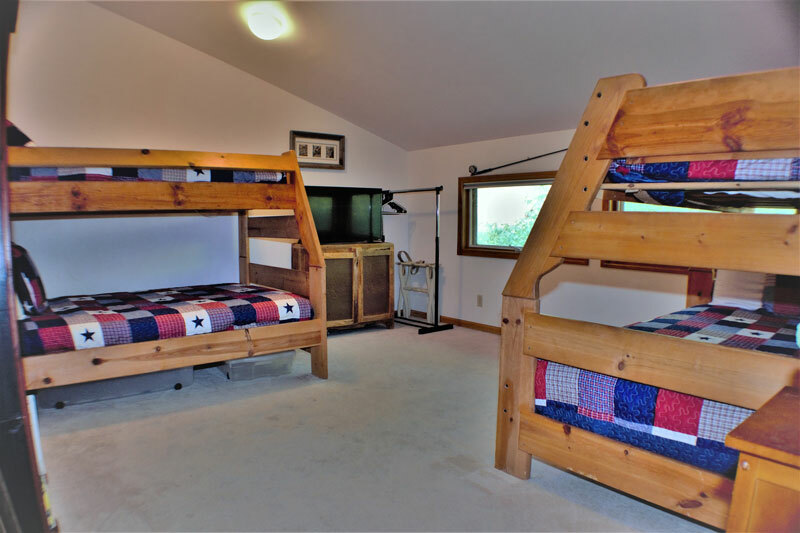 The final bedroom on this floor is perfect for the kids with two Twin over Full bunk beds, sleeping 6 total, and an in room TV. 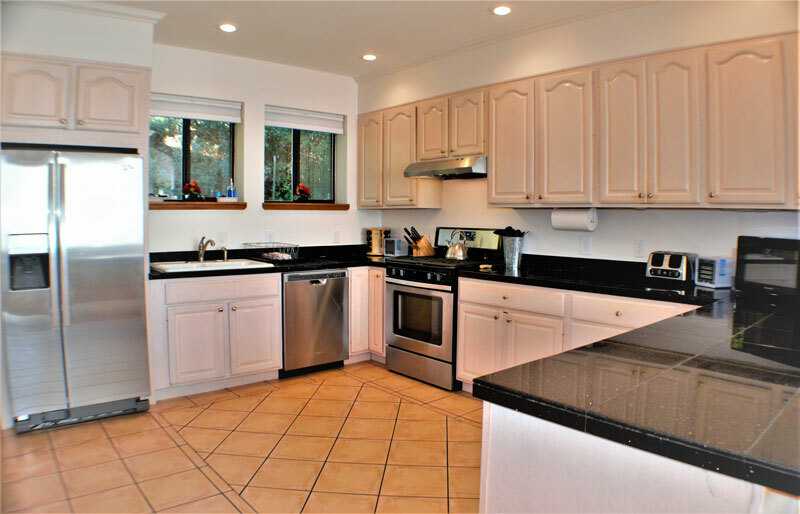 For convenience washers and dryers can be found on both the lower and upper level of the home. Finished in tile and granite, Tall Spruce House is professionally decorated and beautifully furnished for an atmosphere of casual elegance. Completely equipped with linens, towels & kitchen utensils, it has everything you need to provide for your total comfort. Parking for up to 10 vehicles is available in the driveway.